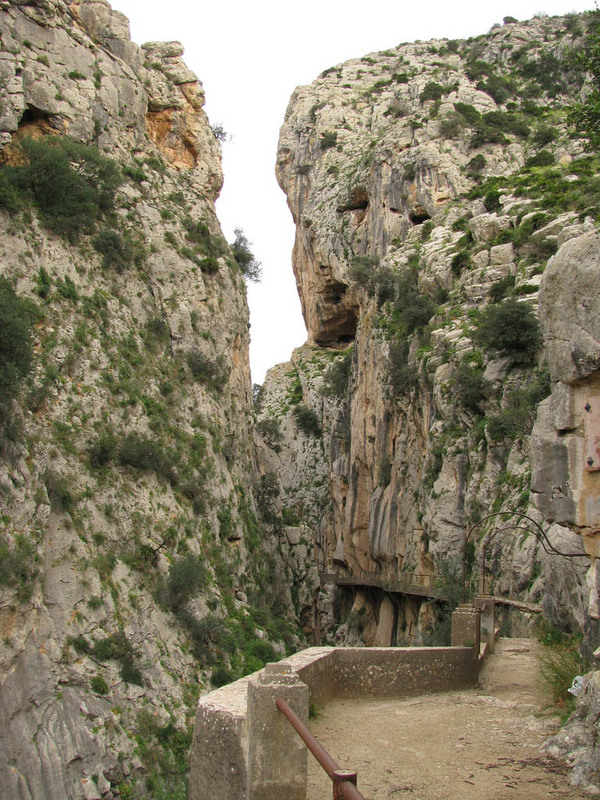 Pathway was opened at the begining of the 20th century by king Alfonso XIII. 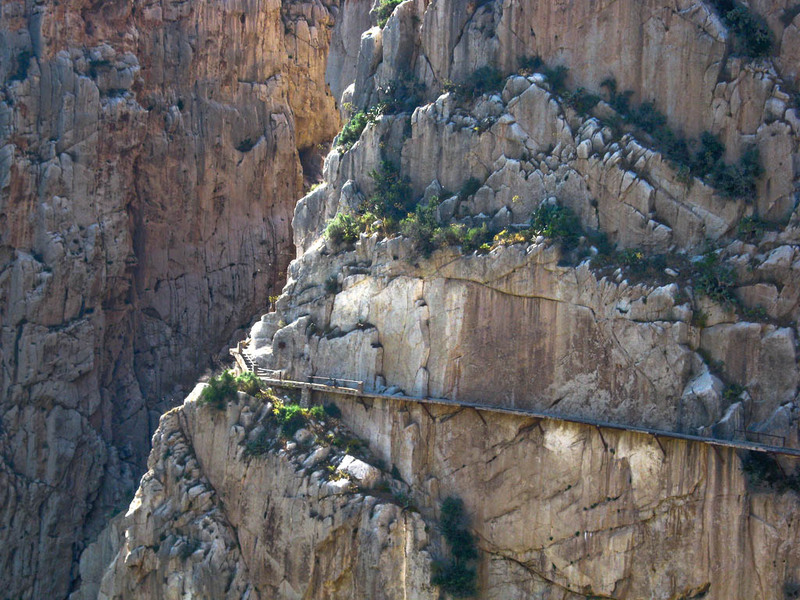 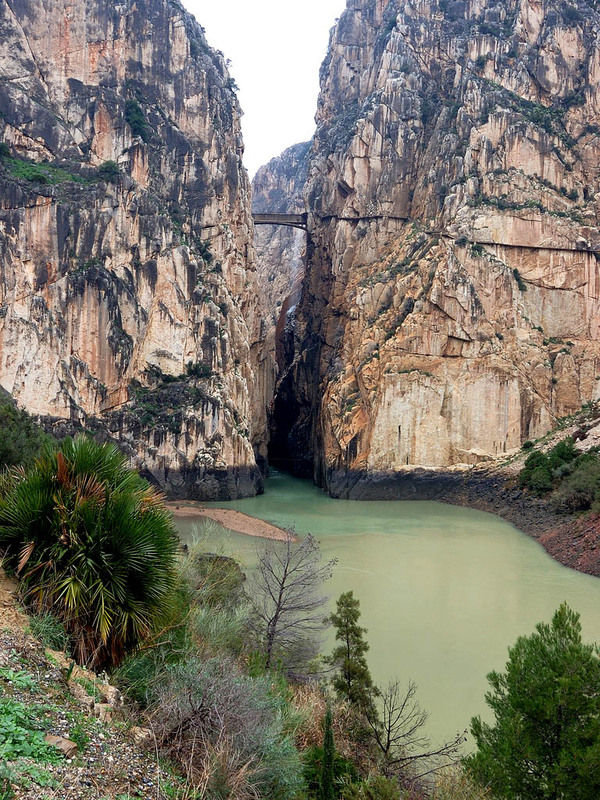 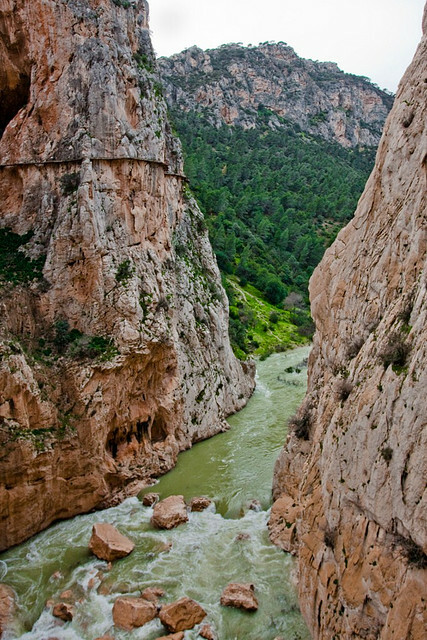 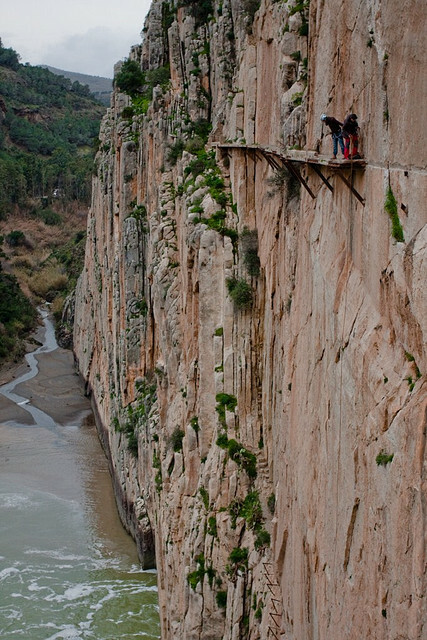 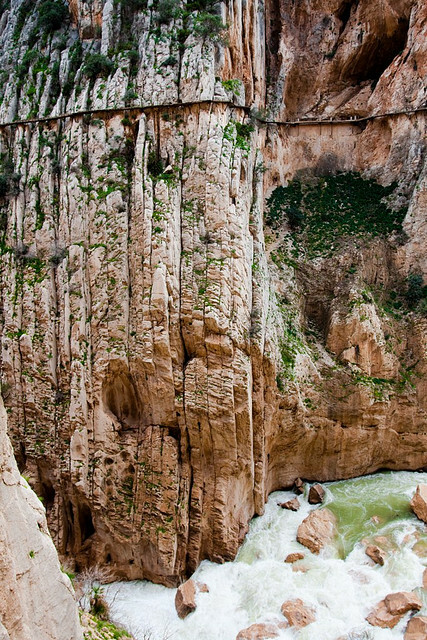 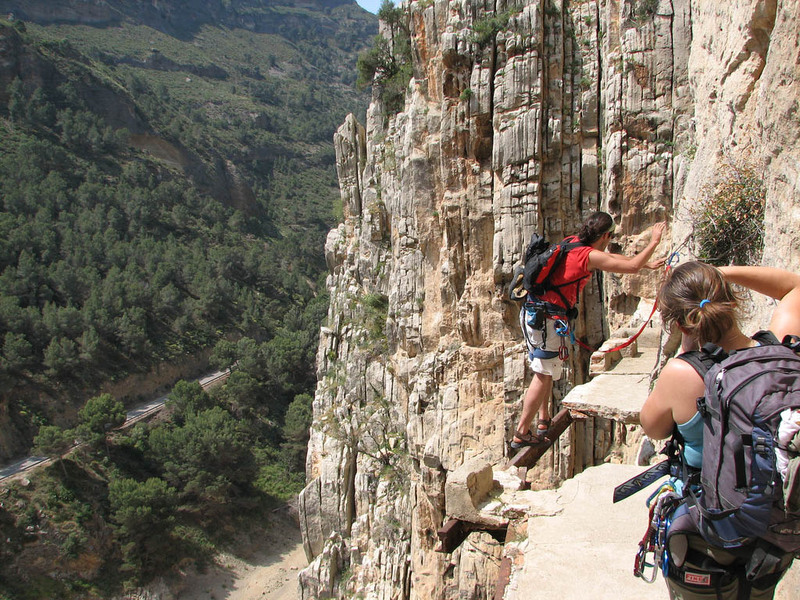 At photos, you can see climbers tackling on the King’s Pathway (El Caminito del Rey) in the Los Gaitanes Gorge, El Chorro, Álora. 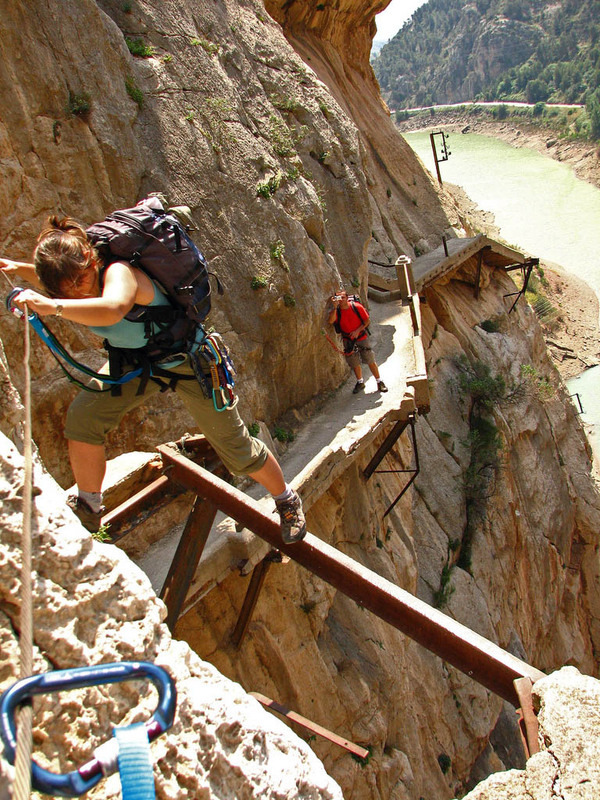 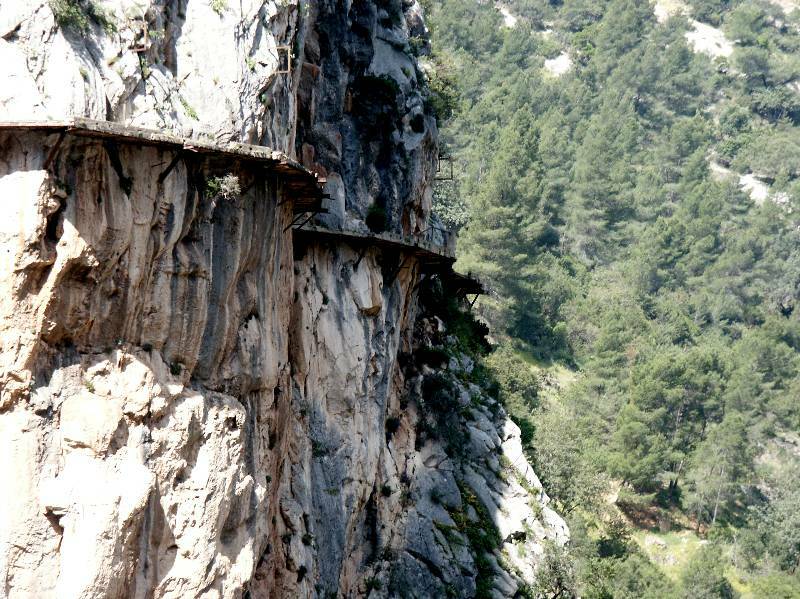 The walkway is one meter in width, and rises over 100 meters above the river below. 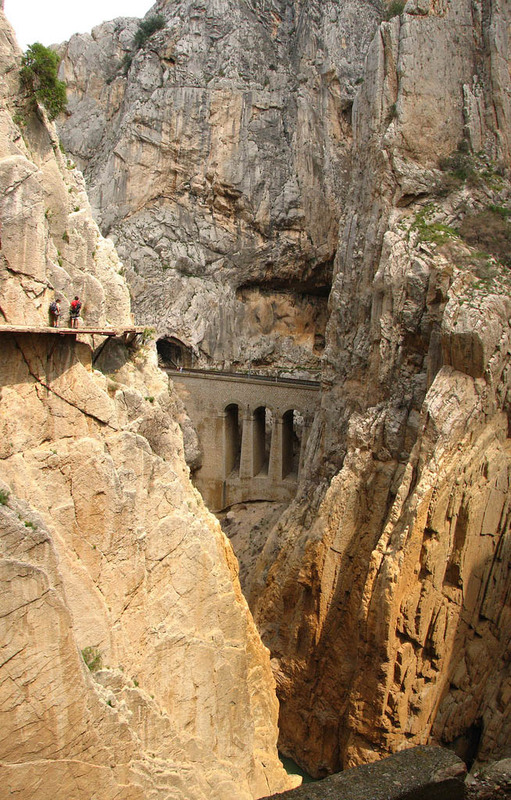 The local government closed both entrances of the path after two fatal accidents in 1999 and 2000. 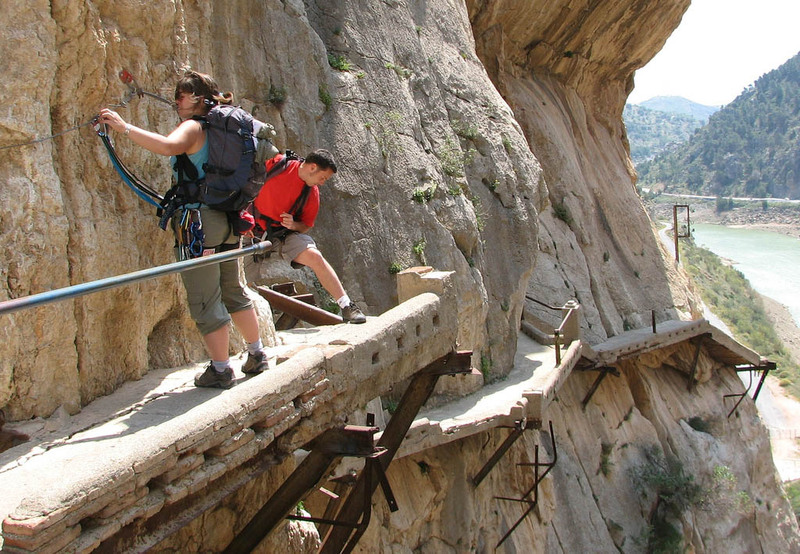 Pathway should be reopen in 2014 after three years restoration-plan.